Fleet managers are being urged to register to attend this year ACFO spring seminar, which will explore the changing face of fleet management. The event will explore the unprecedented rate of change in the fleet industry. 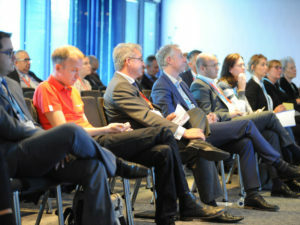 Taking place on 18 May at the Vox Conference Centre, Resorts World, Birmingham, the event will look at the unprecedented rate of change in the fleet industry and the impact that new technologies, data usage and compliance are having on vehicles, drivers and journeys. The event will feature speakers from TomTom Telematics, Lex Autolease, Skanska UK and legal firm Gordon Dadds as well as Dr Lisa Dorn, associate professor of driver behaviour and director Driving Research Group, Cranfield University. Meanwhile Graham Short, an ACFO member and fleet manager at Norfolk-headquartered Zip Water (UK) will provide a view on efficiency, compliance and driver safety. The event will conclude with a ‘Question Time’ panel, chaired by ACFO national chairman John Pryor, with guests including Chris Chandler, principal consultant, Lex Autolease, and Justin Whitson, chief executive of mobility-as-a-service specialist Fleetondemand, as well as some of the speakers. To book a place at the seminar email Fiona Spencer at [email protected] or go to www.acfo.org.